FOR the third time in one month, a sizeable shipment of drugs was found and confiscated by police, as officers of the Organised Crime and Intelligence Unit (OCIU) are investigating the origins of 13 bags of compressed marijuana found hidden among a shipment of beverages at Caribbean Bottlers TT Ltd in Macoya yesterday. Over 400 kilograms of high-grade marijuana with an estimated street value of $6 million was discovered in 12 black duffel bags and a crocus bag in a container, surrounded by imported beers. Experts at the OCIU believe there may be some cocaine carefully hidden among the marijuana, but this was yet to be verified late yesterday. The container, which came from Mexico, was also packed with Cereza beers. The container made a brief stop in Jamaica, where it is believed the marijuana in the duffel bags and crocus bag were sneaked into the container. It was cleared at a TT port by Customs and Excise officers and arrived at the Coca-Cola factory late on Thursday. Employees were assigned to remove the beers from the container to be taken inside when around 10.30 am, the drugs were discovered. Employees told management of the drug find and Northern Division police were called. Police led by Insp Joseph under the supervision of ACP Mc Donald Jacob and ASP Gift went to the factory shortly after 11 am and cordoned off the area of the ganja find. The drugs were seized and were expected to be sent to the OCIU to be weighed to ascertain the street value. Police questioned several employees for several hours yesterday but they said they had no knowledge of the drugs until they made the discovery. The driver of the trailer who brought the container to the compound was also expected to be questioned yesterday. Newsday understands that three police vehicles were required to move the drugs from the compound to the police station. A release from the police service confirmed the bust and said no one was arrested in relation to the find. Cereza beers are made by Kings Brewing Company in California, US. It remained unclear why Coca-Cola imported the beer from Mexico instead of California. 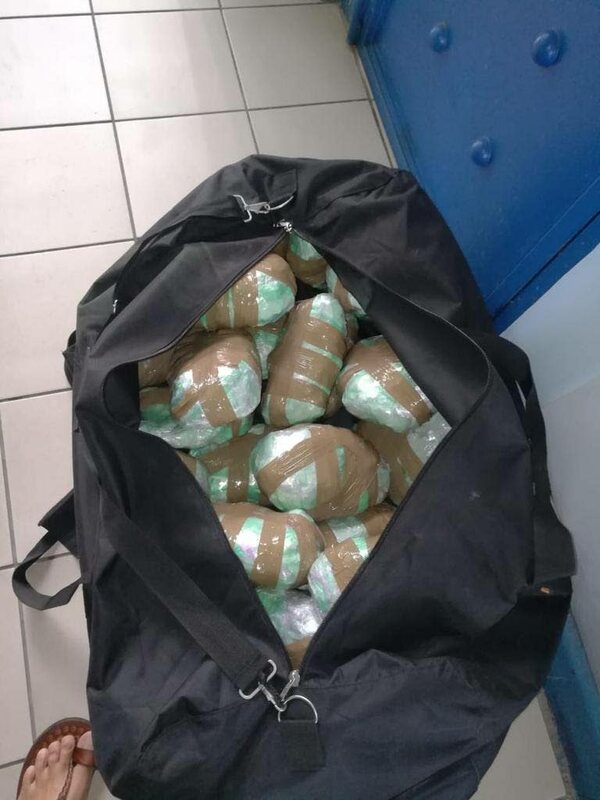 This bust comes less than a month after 600 kg of marijuana were found at an apartment in Valsayn with an estimated street value of $3 million and two weeks after an estimated $15 million worth of both cocaine and marijuana were found at an apartment in Westmoorings. Reply to "GANJA IN BEERS"